The Companies Act as amended in 2014, has made it mandatory for companies to spend at least 2% of their average net profit for the immediately preceding three financial years on corporate social responsibility (CSR) activities. According to data provided by Minister of State in the Ministry of Corporate Affairs, Arjun Ram Meghwal, private companies have spent Rs 5,665 crore, and public sector companies have spent Rs 2,364 crore in 2014-15. As per the amendments made in The Companies Act, The Government of India has made it mandatory for companies that have an annual turnover of Rs 1,000 crore or more, or a net worth of Rs 500 crore or more, or a net profit of Rs 5 crore or more, to set aside 2% of their average net profit for the immediately preceding three financial years for CSR. Minister of State in the Ministry of Corporate Affairs, Arjun Ram Meghwal said, responding to a question in the Lok Sabha that, in the year 2014-15, out of 4,257 registered PSU and private companies, 116 public firms (out of 169) and 1,790 private companies (out of 4,088) spent money on CSR initiatives. An important point to be noted is that out of 4,257 registered companies, 2,351 companies did not make any CSR expenditure at all. As reported by Zee Business, In the Financial year 2014-15, Private sector companies have spent nearly Rs 5,700 crore on Corporate Social Responsibility (CSR) activities, when compared to the nearly Rs 2,400 crore spent by government-owned companies. 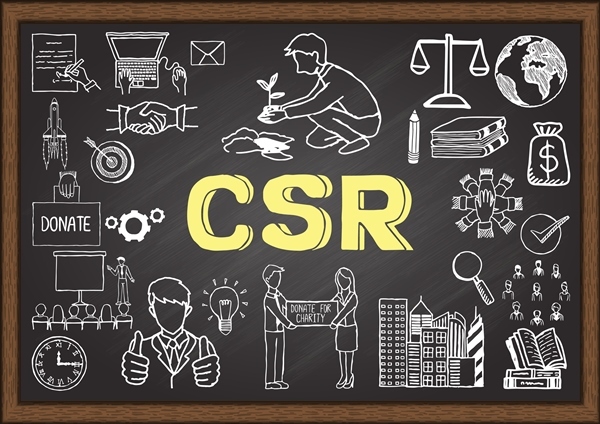 Education sector has received the major share of CSR contributions by Indian companies.Education, environment and animal welfare and rural development appeared to be the most preferred area for CSR activities among Indian companies. A total of Rs 2519.92 crore was spent by the private and public companies in the education sector. This was followed by environment and animal welfare, and rural development. The Clean Ganga initiative was the least favourite among the Indian Cooperates, with only Rs 17.16 crore spent. From a total 4,257 registered companies, 2,351 did not make any CSR expenditure. Of the 1,906 companies that have engaged in CSR activities collectively spent Rs 8,029 crore. The private sector companies spent Rs 5,665 crore, while public sector companies spent Rs 2,364 crore in 2014-15.